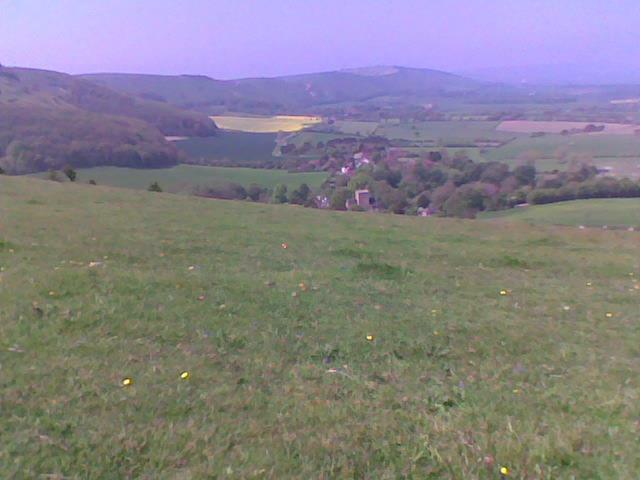 Tales from a country Grandma: A wonderful walk on the South Downs with Bailey! 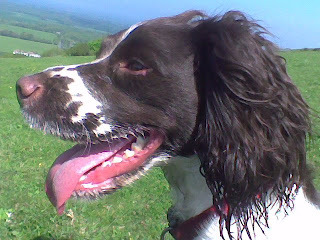 A wonderful walk on the South Downs with Bailey! I took Bailey, my very bouncy springer spaniel, out for her daily walk this morning. For several months now the mud has been horrendous and really dangerous, and I have had to restrict my walks somewhat, but today, for the first time in ages, I was able to walk right through the woods and over the top of the hill. 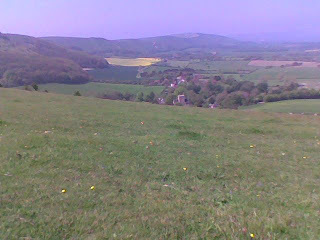 This has to be the most breathtaking view in the universe - as I emerged over the ridge, to see miles along the South Downs and the little villages which nestle at the base. In case you were wondering, I am certainly not the most fanatical of walkers or at all exercise orientated, but my goodness, what a fantastic morning I had! Bailey is always inspirational as she is so enthusiastic about everything. It was lovely to bring her home fairly clean for a change, and the weather looks settled for the rest of the week - hooray!! !